It’s hard to pinpoint just one reason to love the onion! Eating onions gives more to our lives than simply flavor to our food. Incorporating onions into our diet can alter the course of major disease, such as heart disease, Alzheimer’s, and most forms of cancer. Beneficially effecting a staggering multitude of other diseases and disorders including cataracts, cardiovascular disease as well as cancer of the breast, colon, ovarian, gastric, lung, and bladder while helping to reduce the risk of Parkinson’s disease and stroke. You can see that the onion is mighty, in deed! The richest dietary source of quercitin, onion holds a powerful antioxidant flavonoid that has been shown to thin the blood, lower cholesterol, ward off blood clots, and fight asthma, chronic bronchitis, hay fever, diabetes, atherosclerosis and infections. Onions antioxidants and amino acids allow your body to function optimally, help prevent damage and are used in virtually every vital function in the body. Oh that’s all? No, there’s more. Do you smell breakthrough? Onions pungent smelling sulfur compounds are actually a powerful detox element which help the body to release toxins, especially from the liver. Foods naturally high in sulfur also help the body detox itself of heavy metals and other dangerous toxins. Damage to DNA caused by environmental toxins is thought to be the cause of most cancer. Eating organic, local sustainable food never sounded better! “Organic conditions boost flavonoids and antioxidant activity in onions” said the Journal of Agricultural and Food Chemistry in a study published on June 14, 2017. They went on to say, “organic foods contain more health-benefiting phytochemicals.” Now, researchers have found that flavonoid levels and antioxidant activity in organic onions are higher than in conventional onions. Their investigation, in ACS’ Journal of Agricultural and Food Chemistry, is the longest-running study to address the issue. 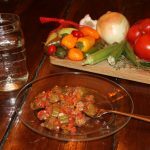 In addition, other factors including the gut microbiome, may also influence responses, giving last weeks blog post about gut-boosting Okra something more to think about. You see, organic onions are an essential ingredient, to the flavor of wellness through-out our life. The taste of a good life, absent from disease is the most savored quality offered up in the onion. So next time you start to cry over an onion, let them be tears of joy! Breakthrough is yours. Preheat over to 375. 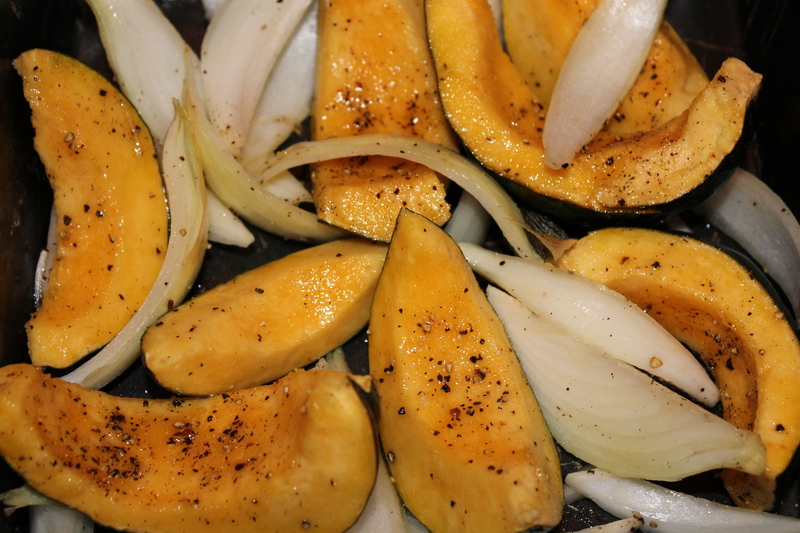 On a rimmed baking sheet, toss squash and onion with oil; season with salt and pepper. Roast until squash is tender, 30-35 minutes. In a small bowl, combine yogurt and lemon juice. 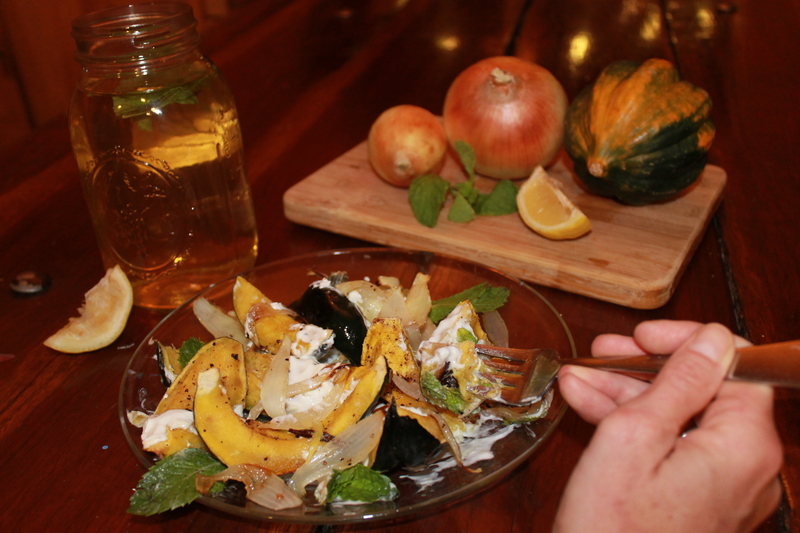 Transfer squash and onion to a serving plate. Top with yogurt and mint. 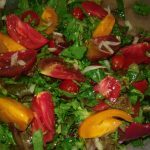 Serve with a refreshing glass of mint green tea or lemon water.. Onions are healthy raw & cooked, though raw onions have higher levels of organic sulfur compounds that provide many benefits, according to the BBC. A 2005 study in the Journal of Agricultural and Food Chemistry found that there is a high concentration of flavonoids in the outer layers of onion flesh, so you’ll want to be careful to remove as little of the edible part of the onion as possible when peeling it. Never microwave your antioxidant-rich foods since the process decreases the antioxidant content by more than 75% in just one minute. Best not to leave an onion cut open in the fridge because it will absorb bacteria. 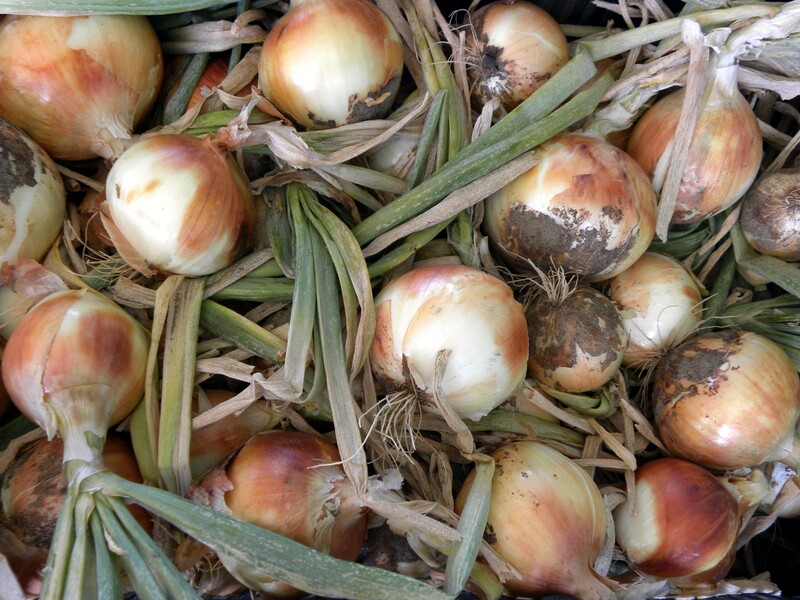 Either use the whole onion, or buy a variety of small, medium and large onions to have on hand; and use accordingly. Sage Mountain Farm CSA box shares typically include a variety of sizes in a season, seeing to it that in my kitchen, an onion never goes to waste. However, once an onion is in a salad in a sealed container, it is safe and can be eaten at a later time. 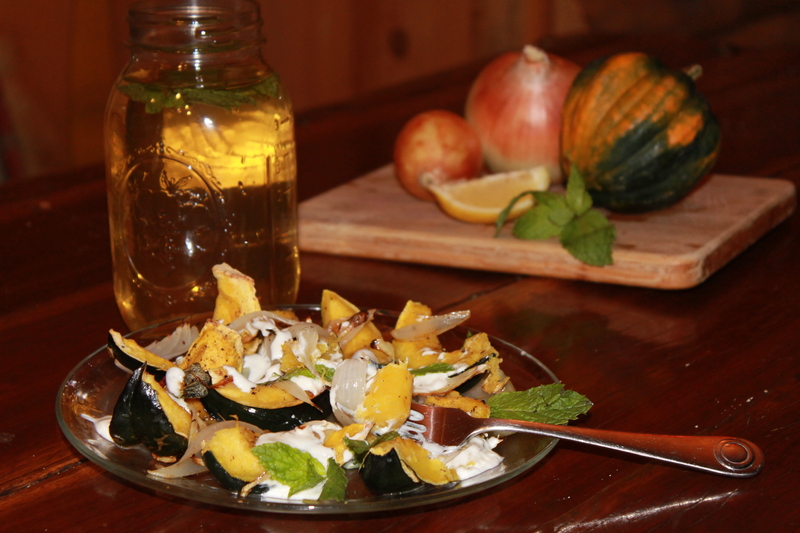 Thank you for visiting Sage Mountain Farm BLOG! Subscribe & follow. Posts weekly. Stay connected. To be engaged in Community Supported Agriculture (CSA), offers you a chance to share in a sustainable small farm’s hand picked, certified organic seasonal daily harvest. There truly is a difference in taste, quality and variety! Let’s make small farms in our region stronger and profitable, for theirs is a labor of love. Support your local small farm and become a CSA member today!